Kathy Ellis is the face of Hands to Paws. Our organization makes a difference because she makes a difference. Kathy has many accomplishments to her credit in the field of education, including a doctorate of education, 20 years of classroom teaching special needs learners, and 15 more years of teaching teachers in special education. Currently, she teaches visually disabled children. As President of Hands to Paws, her passion is rehabilitating dogs with social disabilities. Although she is a certified dog trainer, her dog whispering abilities truly come less from a special diploma and more from how special she is within. However you arrived at our site, you are in the right place if you care about canines! COME VISIT WITH HANDS 2 PAWS and meet our wonderful dogs! KAT'S KORNER EXCITING NEWS! Two film directors from California will be at the Augusta Museum of History on Sunday, April 28, 2019, 5p.m. to 7p.m. to screen their film Flying Fur. Their documentary is about rescue pilot Paul Steklenski and features all aspects of animal rescue. Please join us to view this inspirational film. Hands 2 Paws will be a vendor at the event and we always love visiting with our supporters. Please check our website regularly for more updates. PLEASE click on our EVENTS page to learn more. ​Hands to Paws has a new partner - - JAN PRO cleaners of Augusta/Aiken! 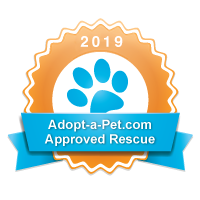 ​Please check them out on our PAWTNER PAGE! Hands 2 Paws is always in need of various supplies.... I know some people like to donate items instead of money as they like to immediately see the results of their donations. If anyone would like like to help us with these items we would greatly appreciate it. We have included vendors that we frequently use and know that have good prices, but if you have other options that is fine. We like to give gates to new adopters of our shy, scared and timid dogs. It serves as a reminder that they have a new dog in there house that might be tempted to dart out the door. 3. Martingale collars- provides extra security when out on adoption events and we like to send with adopters when we have extras. Also, we are trying to provide our dogs with Kuranda ShelterBeds. These highly durable beds are made specifically for animal welfare and hold up to heavy chewing and digging. They provide a clean, safe, comfortable resting place for our dogs. To donate a bed, please visit https://donate.shelterbeds.org/348295 . Your donated bed will be shipped directly to us. Donations help us provide vetting for medical needs, boarding, food and care for our animal. ONE MORE REASON TO SHOP! "Knowing I'm helping Hands to Paws makes me feel kind of duty-bound to buy myself that new dress." 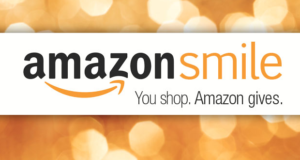 price of your eligible AmazonSmile purchases to the charitable organization of your choice. AmazonSmile is the same Amazon you know. Same products, same prices, same service. Support your charitable organization by starting your shopping smile.amazon.com. Go to Your Account from the navigation at the top of any page. Select the option to ​Change your Charity. SELECT US -- Hands to Paws-- as your charitable organization to support. NOW THAT'S SOMETHING TO BARK ABOUT!! !